ALD has issued an inaugural Positive Impact Bond to finance green fleet vehicles in a first for the fleet industry. The firm said the €500m four-year fixed-rate senior note will be exclusively used to finance or refinance eligible vehicles, based on an initial portfolio of 14,348 eligible vehicles, across 13 countries in Europe. These comprise 24% electric vehicles and 76% hybrids and plug-in hybrids (PHEVs) and will avoid 17,000 tons of CO2-equivalent and 99,000 kg of NOx emissions on an annual basis, compared to a comparable fleet powered by combustion engines. ALD said the issuance is unique in that the Positive Impact Bond Framework is aligned both with the ICMA Green Bond Principles and the Principles for Positive Impact Finance developed by the UN Environment programme. To ensure the bond qualified as having a Positive Impact, ALD developed a life-cycle-assessment approach based on robust and transparent impact measurement of the fleet at all stages of the life of the vehicles, with the help of Quantis, a company specialized in life-cycle analysis. 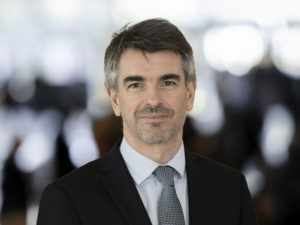 Societe Generale was sole bookrunner for the bond issue and said the issuance further demonstrates its commitment to remain at the forefront in the area of Sustainable and Positive Impact Finance in order to help build a sustainable bond market, and fully support its clients in their financing needs by deepening capital markets funding sources for sustainable growth projects. ALD currently has 84,000 alternatively fuelled vehicles under management – equating to just under 5% of the total fleet – and plans to have an alternative fleet of at least 200,000 vehicles under management by 2020.